Your body requires a wide range of minerals on a daily basis to maintain optimal levels of health and function. While many can be gotten through a healthy daily diet, there are also supplement that provides the minerals your body requires. 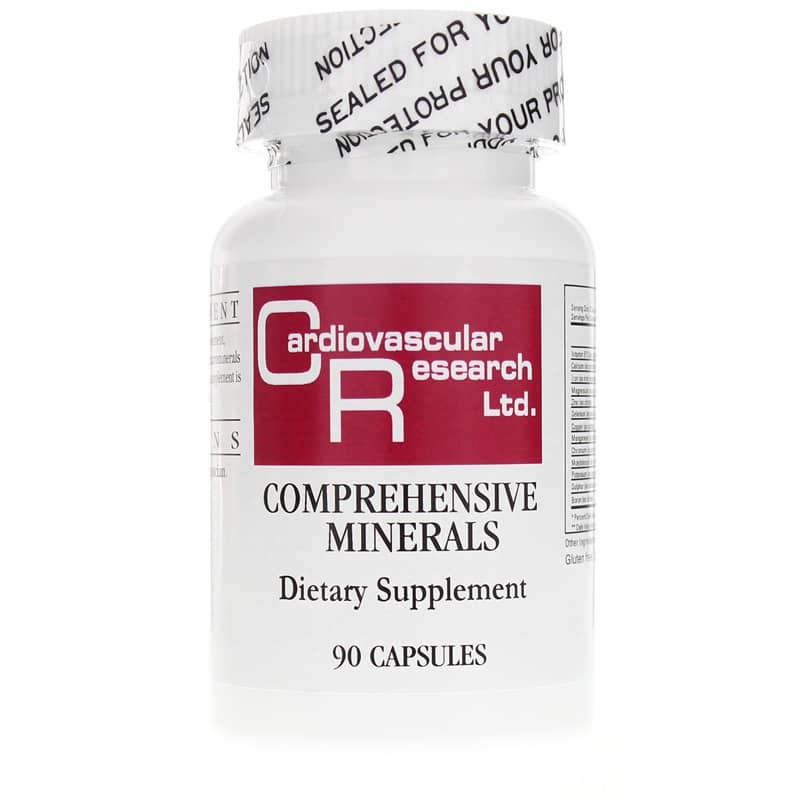 Comprehensive Minerals from Cardiovascular Research Ltd. is a dietary supplement that contains a blend of essential macrominerals and trace minerals for better overall health. 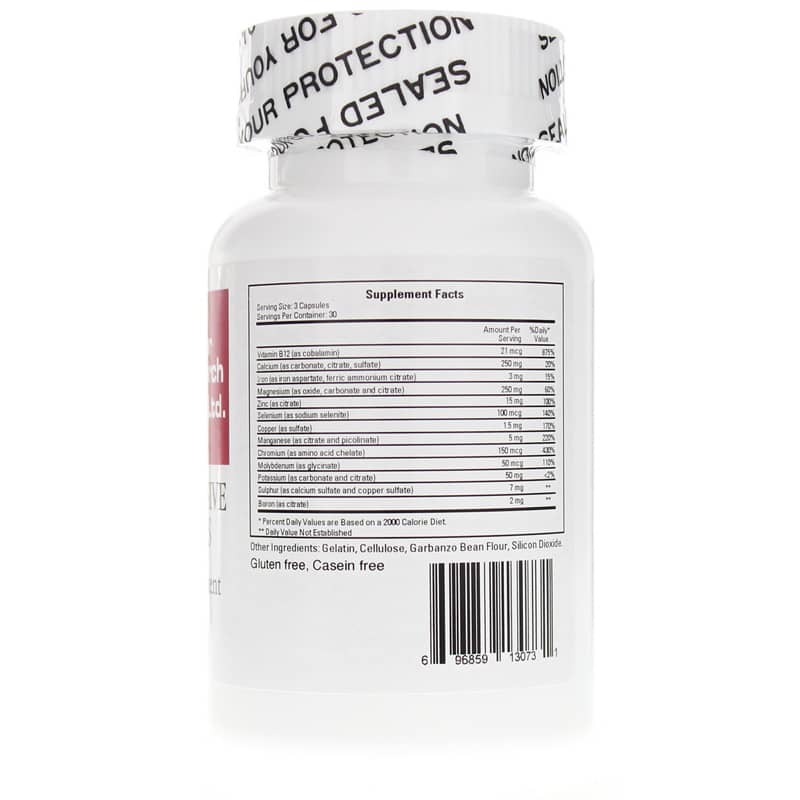 Every batch of Comprehensive Minerals comes in a capsule form that is easy for adults of all ages to swallow. 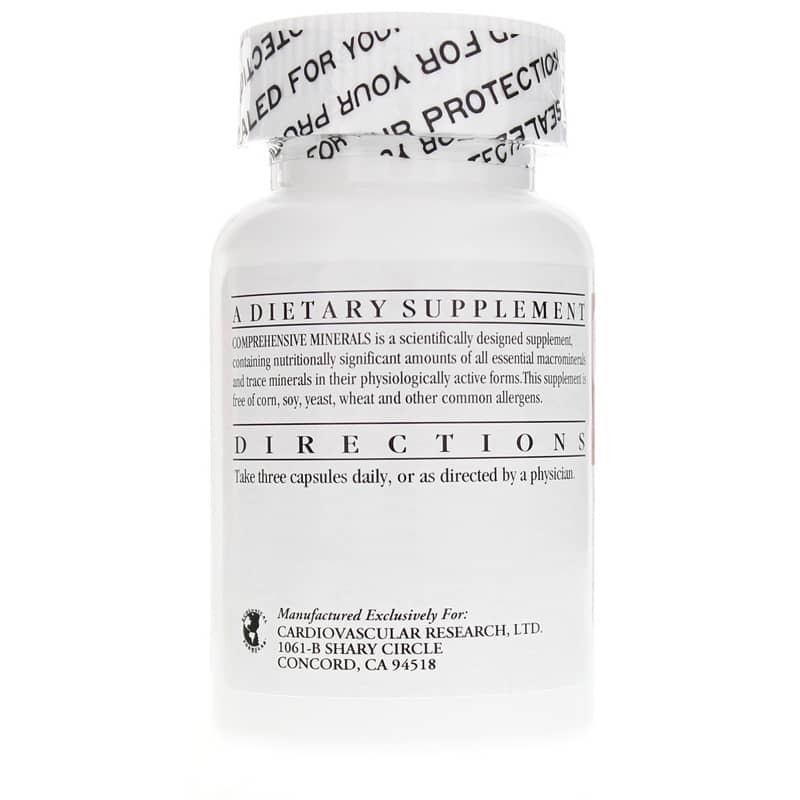 When taken three times every day, it may be able to help keep you on the all-natural pathway toward optimal overall health and wellness. Order yours now! Other Ingredients: Gelatin, Cellulose, Garbanzo Bean Flour, Silicon Dioxide. Adults: Take 3 capsules daily or as directed by a physician.